In the first big raid of the London Blitz in 1940, Sheila Phipps loses father, mother and five siblings. The only other possible survivor is her brother, Charlie, but he has disappeared. 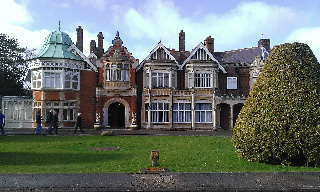 With no family and no home she has no choice but to live with her snobbish and unsympathetic aunt Constance in Bletchley. 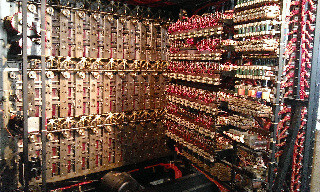 Also billeted with her aunt, is Lady Prudence Strange who works at Bletchley Park where German messages are decoded. Sheila is given a job there and the two girls form an unlikely friendship, united in the need to keep what they are doing a secret, even from family and boy friends. They are not the only ones with a secret. As the war progresses, more shocking secrets come to light, which have nothing to do with the war and everything to do with the past. Sheila thought she knew every inch of every road in the district. It was her home, had been her playground, was where she worked, but it had been a nightmare trying to find her way round blocked off roads, rubble spilling into streets, and a cityscape changed almost beyond recognition. The nearer she came to home, the worse it was. And then she had stopped transfixed. This street of rubble had once been a row of terrace houses. Now you couldn't tell one from the other. Stones, bricks, bits of wood, broken roof tiles, twisted water pipes, smashed furniture, scraps of cloth and shattered glass were piled up like some giant bonfire. 'Mum,' she murmured. 'Under that?' She nodded towards the rubble that had once been their house. 'We haven't seen either of them. They'd be at work, wouldn't they?' Since the beginning of the war, they had been working longer shifts and free Saturday afternoons had become a thing of the past. Bob, who worked in a munitions factory when he wasn't being an Air Raid Warden, was working every other Sunday. He took her to a school where the bodies were laid on the hall floor in rows, covered with sheets. If the rescuers knew who they were, they were carefully labelled, though in some cases, they could not be identified. Sheila, following Mr Bennett up and down the rows, thought she must be in the middle of a terrible nightmare. He stopped and bent to read a label. Then slowly drew the sheet back from the face. Mum looked so peaceful, serene almost. Usually she was dashing about cooking, washing, sweeping up and shouting at one or the other of them for not tidying away their things or getting under her feet, flapping at them with a damp tea towel while wisps of auburn hair escaped its pins. Now she slept a final sleep and the lines of worry had gone for her face and she looked like the beautiful woman she had been on her wedding photograph. No wonder Pa had fallen in love with her. 'That is your Mum, isn't it?' Mr Bennett queried. She nodded without speaking. He covered the face again and went on to the next and the next. They were all there, except Charlie: Dickie, Dorrie, Maggie, Bobby and little Annie who had only this term joined her brothers and sisters at school. This night the school was a morgue. He took her to the South Hallsville school which had been utilised for bombed out families. They were lying on mattresses all over the floor. Some were asleep, some crying, some staring in bewilderment unable to take in what had happened to them. Some women were breast feeding babies, others nursing minor wounds; those with more severe injuries had been taken to hospital. The children's reactions were as divers as the adults about them. The cried, they laughed, they dashed about shouting and pretending to be aeroplanes with arms outstretched. Some, who had lost parents sat huddled in corners looking petrified or weeping heartbrokenly. At the end of the assembly hall a couple of tables had been set up and here Civil Defence and the Women's Voluntary Service worked side by side, taking names, suggesting places to go for the night, handing out tea and sandwiches. Mr Bennett took her to one of the tables and introduced her, then left. He looked exhausted but she knew he wasn't going home, not yet, not until he had accounted for everyone on his patch. He had a list of the occupants of every house and business for which he and his men were responsible and he was duty bound to match bodies and survivors against his list. 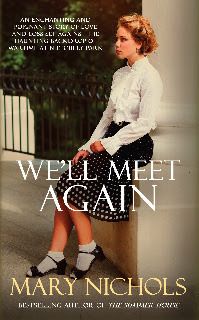 We’ll Meet Again is out in paperback now, available from bookshop and online. ISBN: 9780 7490 17040.